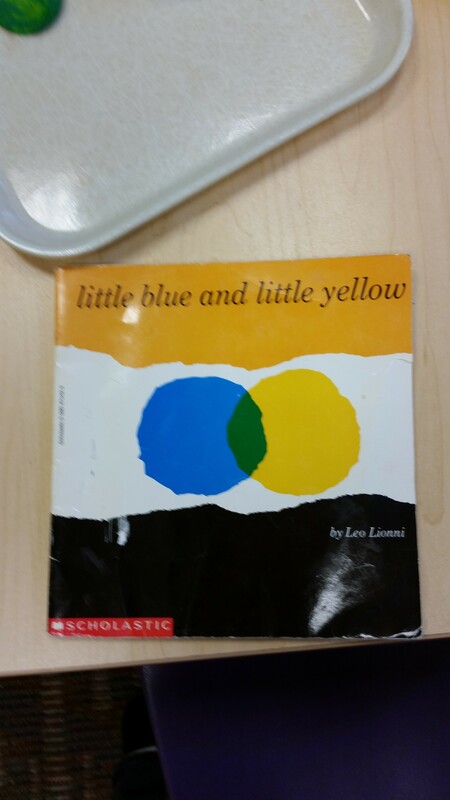 In today’s circle time we read about Little Blue and Little Yellow. One day the two best friends hug and they both turn green! It was a great book about friendship and color theory. After the story teacher Abby showed us yellow and blue playdough she had made the night before. 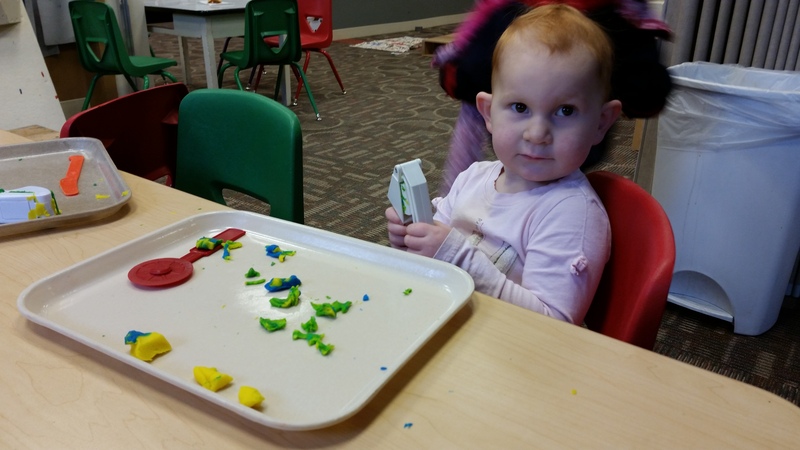 She took a little of each and squished them together, making green. 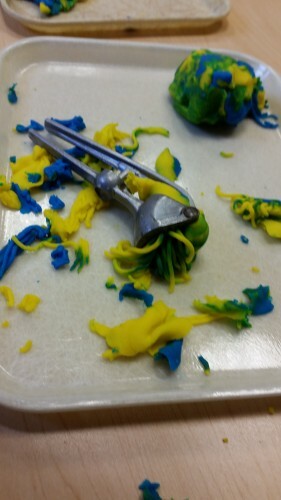 After circle was over the kids could play with the playdough at an art station and make their own green. Old garlic presses are particularly fun for this!